Hearing loss is a function of things we can control, and things we cannot control. We cannot control the genetic predisposition to having hearing loss. We have some control and influence on medical problems which may affect hearing. But we certainly can have significant control on some environmental factors which put us at risk for hearing loss. We know that loud noises are a risk factor which can predispose to hearing loss, and that noise avoidance can preserve hearing. We recommend that those who want to be proactive in preventing hearing loss obtain ear plugs to guard against harmful loud noise exposure. Noise-Induced Hearing Loss (NIHL): Modern society exposes people to a barrage of unsafe sound levels throughout their daily lives, both at work and in recreational activities. While some NIHL may be temporary, causing a short-term shift in the hearing threshold, the loss can progress and result in permanent hearing impairment. The microscopic hairs (cilia) in the cochlea of the inner ear, allow mechanical sound vibrations to be converted into a neural stimulus. These hair cells can be damaged or injured when they are exposed to loud noises. They have a limited capacity to recover and heal when they are exposed to excessive noise. Loud noise exposure can permanently damage these hair cells. Ear plugs are wearable devices in different styles and configurations that reduce the level of sound vibration that reaches the inner ear. Ear plugs can help control, and even prevent tinnitus and Noise-Induced Hearing Loss. 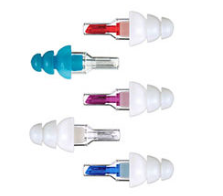 Styles: Three main styles for hearing protectors are simple foam earplugs, ear muffs, and custom-made earplugs. 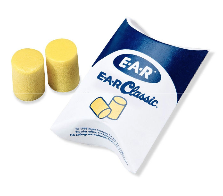 Simple Foam: These basic earplugs, widely available at pharmacies, are small foam inserts that fit into the outer ear canal. Plugs are available in a variety of configurations and sizes to fit individual ear canals and provide the necessary snug seal. Earmuffs: Earmuffs, held in place by an adjustable band like their ear-warming counterparts, fit over the entire outer ear to seal and block the ear canal. Custom-made: Custom plugs are provided by our audiologists and are custom-fit to an individual's ear canal configuration for maximal comfort and optimal performance. All hearing protectors carry a Noise Reduction Rating (NRR), a measurement expressed in terms of the number of decibels it reduces or cancels out. 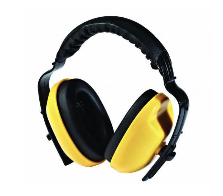 For example, if a hearing protector has an NRR of 25, it can reduce a potentially harmful noise by 25 decibels. This rating would reduce a 100-decibel noise to a safer level of 75 decibels (100 - 25 = 75). Hearing protectors can be helpful for recreational target shooters, musicians, motorcyclists, concertgoers, power tool users, lawn mower operators, etc. Our practice offers custom earplugs and earpieces to protect and enhance hearing, facilitate communication and prevent hearing loss. Proper hearing protection can be achieved by limiting your exposure to moderately high noise levels, allowing your hearing to rest or recover after noise exposure and using custom or non-custom hearing protection. Custom hearing protection is made from a mold of the ear and crafted using soft, durable and high quality material available in a variety of colors and skin tones. Sound attenuation, through the use of filters, can be achieved at a variety of levels, based on your hearing needs. Filters are chosen at various levels, generally 9 decibel, 15 decibel or 25 decibel attenuation, to reduce the volume, based on your specific type of noise exposure and listening needs. Custom hearing protection may be used for a variety of occupational and recreational activities, some of which include music appreciation, water sports, sleeping, studying, hunting and competition shooting. Non-custom hearing protection is also beneficial and can be purchased over-the-counter or provided in the office. Solutions like foam plugs and ear muffs can be used for a variety of activities such as yard work, carpentry and sporting events. Non-custom plugs, provide a broader overall reduction in sound, as illustrated on the chart below. You may be concerned about possible hearing loss in the younger generation. The typical youth spends hours each day wearing headphones or earbuds, either listening to music, playing video games, or as part of an online academic or school assignment. In addition, teens can be exposed to loud music at live concerts and performances. Parents are justified in their concern for their children's potential to develop noise-related hearing loss. Wearing proper earplugs can help swimmers, divers and surfers avoid long-term hearing loss by preventing outer ear infections (otitis externa). Commonly known as swimmer's ear, this infection is caused by water that gets trapped within the ear canal and encourage the proliferation of bacteria or fungi. With frequent exposure to these microorganisms, skin inside the ear thickens and makes the canal narrower, which can predispose to chronic infections and hearing loss. Ear canal exostoses are bone growths in the ear canal seen in those exposed frequently to water. These are commonly seen in surfers' ears. Exostoses can also narrow the ear canal, contribute to wax impaction, infections and hearing loss. Most of these plugs are made of silicone and are either pre-molded, moldable or custom molded. The pre-molded and custom type fit inside the ear canal, while the moldable versions form a seal over the outer ear opening. Properly functioning plugs will not interfere with ear wax, which is a natural protection agent. 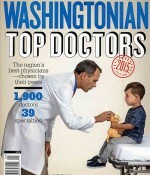 Our niece had a tough recovery from surgery due to her already being sick ....Dr. Winkler was amazing. Called us every single day for two weeks. Saw us as necessary. I will use him again in a heartbeat.